The night sky is a wonder – from the fixed and almost changeless stars to the brief appearances of comets, it offers a universe of fascinating objects to view. With little more than a pair of binoculars or a small telescope, millions of light-years of space are available to all. The Southern Sky has been written to guide you through this space and introduce you to the pleasures of amateur astronomy. In recent years, a number of spectacular events have drawn attentions skywards, but the lack of a suitable guide to the night sky has deterred many from taking their interest further. This book changes that. With chapters about naked-eye observing, binoculars and the selection and use of small telescopes, The Southern Sky provides all the information needed to make a start in amateur astronomy. 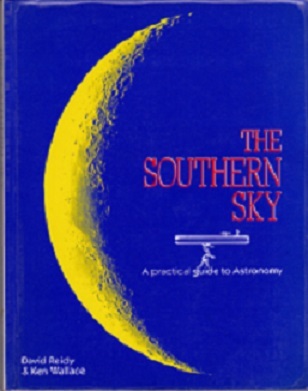 Unlike many works from overseas, The Southern Sky is specially written for observers in the southern hemisphere, where differences in the night sky and the setting up of telescopes make most northern hemisphere books useless.